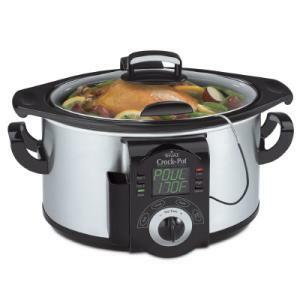 Basic definitions of a 'crockpot' describe it as an electric cooker that maintains a relatively low temperature. Others call it a slowcooker but whatever it is, it's a very effective way of cooking chicken slowly. This of course it means that it soaks up all of the flavors it sits in all the while maintaining it's moistness. Here are a few crockpot photos and other links. 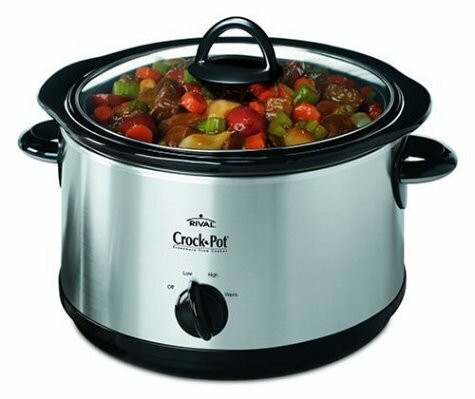 (Above) This is an example of a modern day crock pot. I am not sure what is inside it but it looks pretty good. (Below)Well, i'm not sure how this one slipped past the editor... Crockpots are ace for cooking chicken but i'm not sure about cat?.... 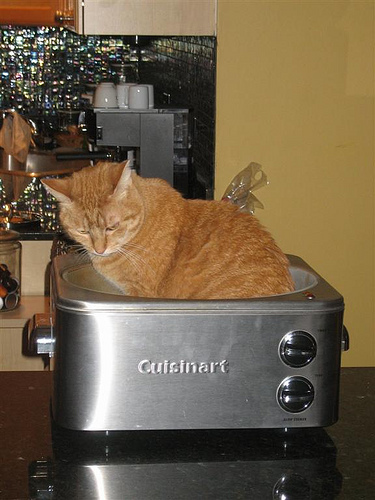 hmmm, note to self....Simple-Cat-Recipes.com...Could be a winner? 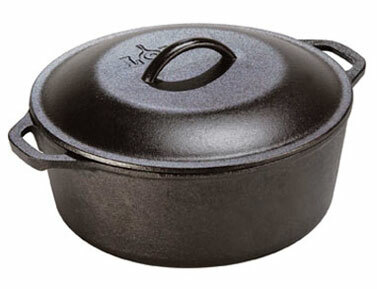 This is a fine example of an old traditional crockpot. One for the stove. Well I hope you now feel a little more educated about crockpots and now you just need to learn what to put in them, thats the fun bit! Return From, What is a Crockpot?